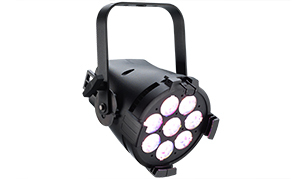 So many venues want to add LEDs to their lighting systems, but the fixtures in their price range are far from ideal. ETC's answer to that problem is the ColorSource™ PAR, an LED luminaire crafted by lighting experts. It outputs bright, beautiful light and lives up to ETC's standard for quality and is backed by ETC's industry-leading service.